Sliding doors automatics are compatible both with cold storage and freezer doors. 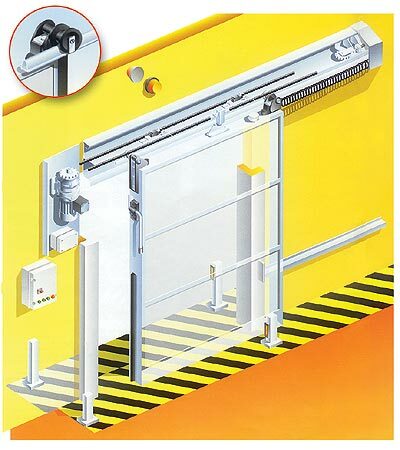 The doors feature two safety barriers: photocell and safety switch. The set includes two cable pull switches for installation on the support arm or directly to the ceiling. The drive features logic system for automatic door opening and closing control.